q ANONIMO (xxxx) Passalidae del Hymalaya, 1pp. q ANONIMO (xxxx) Passalidae de Nueva Guinea. 2pp. q CASTILLO M.L. & REYES-CASTILLO P. (1989) Copulation in Natura of Passalid Beetles (Coleoptera: Passalidae). The Coleopterists Bulletin, 43(2):162-164.
q DIBB J.R. (1973) Book Review. The Coleopterists Bulletin 27(1):1pp. q FARETTA M.A. 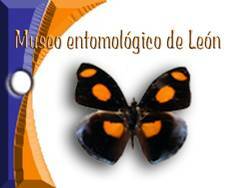 (2003) The Passalidae of Peru: A Frequecy and Diversity Study. 5pp. q GILLOGLY A.R. (2005) Review of the genus Popilius and preliminary Phylogeny of Passalidae (Coleoptera). Texas A & M University, 310pp. q HINCKS W.D. (1951) A note on “Passalus cornutus Fabricius” (Passalidae). The Coleopterists Bulletin 5(1):12-14.
q JOHNSTON D.E. (1959) On the Status of Casey’s Species of Proculus (Passalidae). The Coleopterists’ Bulletin, 8:124-126.
q LOBO J. & CASTILLO M.L. (1997) The Relationship Between Ecological Capacity and Morphometry in a Neotropical Community of Passalidae (Coleoptera). The Coleopterists’ Bulletin 51(2):147-153.
q MACGOWN J. & MACGOWN M. (1996) Observation of a Nuptial Flight of the Horned Passlus Beetle, Odontotaenius disjunctus (Illiger) (Coleoptera: Passalidae). The Coleopterists’ Bulletin, 50(3):201-203.
q REYES-CASTILLO P. (1974) Prosoclitus Bates A synonym of Pseudocanthus Kaup (Coleoptera, Passalidae). The Coleopterists Bulletin 28(4):pp.208. q REYES-CASTILLO P. & JARMAN M. (1980) Some Notes On Larval Stridulation In Neotropical Passalidae (Coleoptera: Lamellicornia). The Colopterists’ Bulletin 34(3): 263-270.
q REYES-CASTILLO P. & SCHUSTER J.C. (1983) Notes on some mesoamerican Passalidae (Coleoptera): Petrejoides and Pseudacanthus. The Coleopterists’ Bulletin 37(1):49-54.
q SCHUSTER J.C. (1975) A comparative Study of Copulation in Passalidae (Coleoptera: New Positions for Beetles. The Coleopterists Bulletin 29(2):75-81.
q SCHUSTER J.C. (1978) Biogeographical and Ecological Limits of New World Passalidae (Coleoptera). The Coleopterists Bulletin 32(1):21-28.
q SCHUSTER J.C. (1983) The Passalidae of the Galapagos Islands. The Coleopterists Bulletin 37(4):299-301.
q SCHUSTER J.C. (1983) The Passalidae of the United States. The Coleopterists Bulletin, 37(4):302-305.
q SCHUSTER J.C. (1988) Petrejoides reyesi Sp. Nov. (Coleoptera: Passalidae) from Honduras. The Coleopterists Bulletin, 42(4):305-309.
q SCHUSTER J.C. & CANO E. (2005) Clave para los generos de los Passalidae Americanos., 12pp.